David Mazouz Appearance at Royal Collectibles! 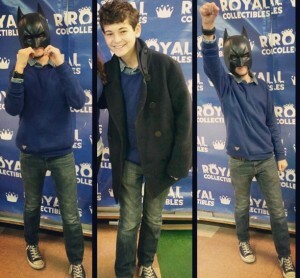 Today we had the pleasure of having actor David Mazouz from Fox’s Gotham TV series appear at our store! 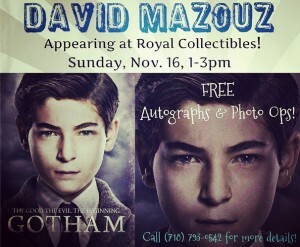 David, who plays young Bruce Wayne on the series, met with fans, signed photos, comics, and merchandise, and took photos with the public during his appearance at our comic shop in Forest Hills, Queens. We want to thank David for giving us the opportunity to host his first solo signing and we also want to thank all the fans who came out on this chilly Sunday afternoon to take part in the event! Fans waiting in line to meet young Bruce! 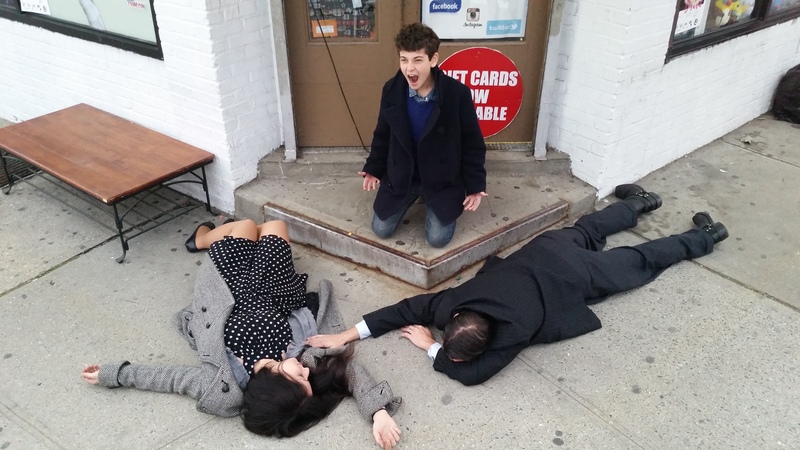 David was nice enough to goof around with staff members, Diane and Bob, reenacting the death of the Waynes! 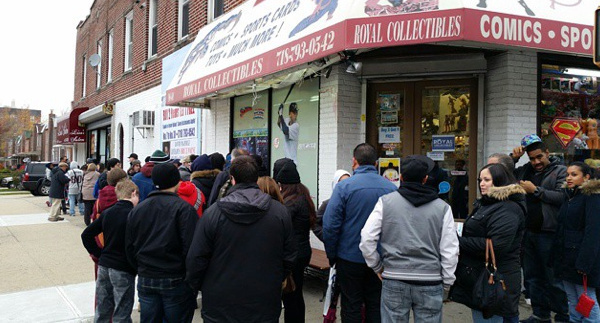 All in all it was a great day at Royal Collectibles. David was an absolute pleasure, super friendly, always a smile on his face, and he was great with his fans. We were thrilled with the turnout, it was really wonderful to see fans of the show come out to see him! Thanks again to all who participated and don’t forget to follow us on social media for announcements on any future appearances we may have! This entry was posted in General Info on November 17, 2014 by admin.